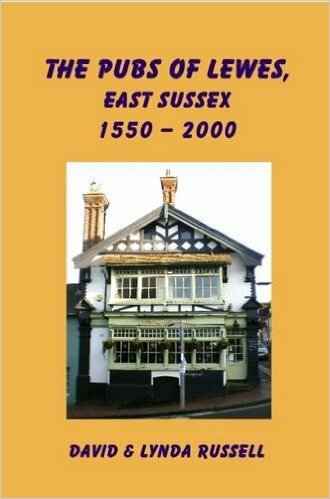 David and Lynda Russell: The Pubs of Lewes, East Sussex 1550-2000. Lynda Russell, September 2015, 322p. “At one time or another the Church, the military, Puritans,temperance campaigners and the taxman have all tried to curb the boisterous habits of the Lewes drinker. This book traces the Lewes drinking habitat through all its manifestations from rude hovel to alehouse, tavern, inn, beer house and the present day pub. Available via the publisher. Also Harvey’s shop, Cliffe High Street, Lewes, or try other Lewes bookshops.